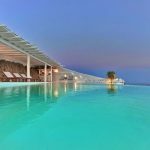 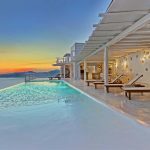 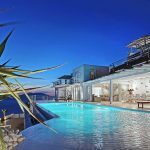 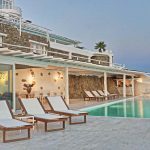 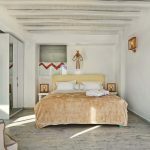 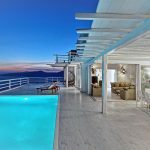 Enjoy the ultimate in luxurious escapes at Villa Lily, an exquisite Mykonos luxury villa that boasts panoramic sea views and uncompromising style. 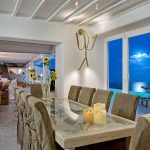 With a total of eight bedrooms, Villa Lily can comfortably sleep up to sixteen guests. 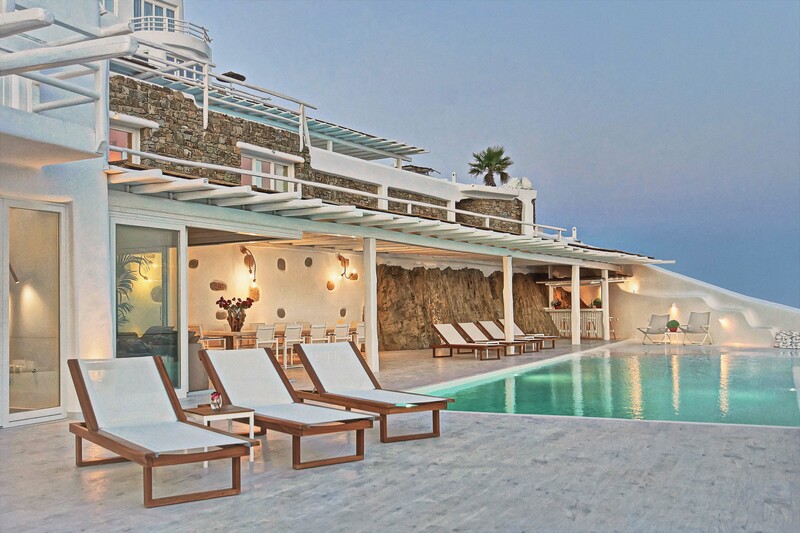 From first glance, Villa Lily is sure to delight. 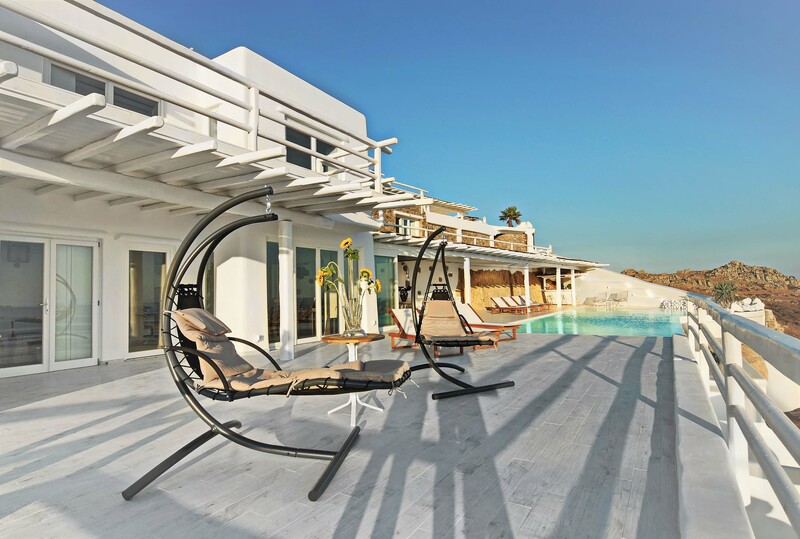 Crafted in line with Mykonos tradition, the white stonewashed villa features clean lines and blends beautifully with its surroundings. 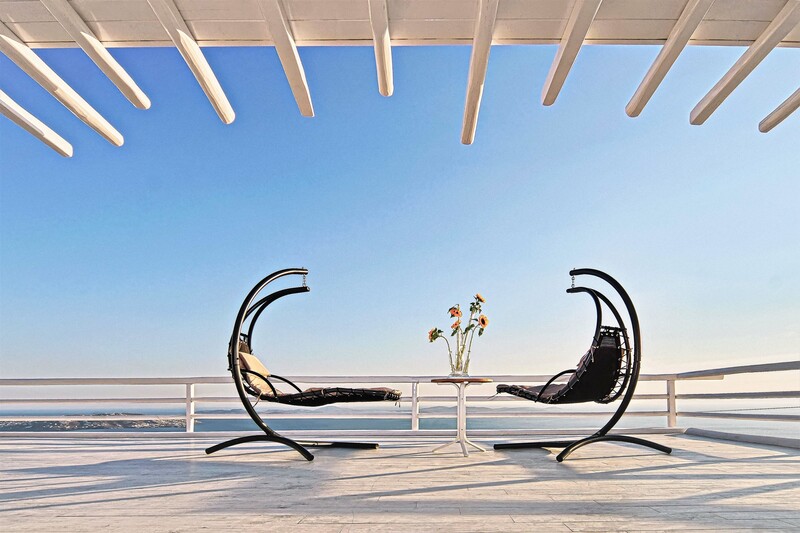 Enjoying an elevated position on the island, panoramic views of the Aegean Sea surround the property. 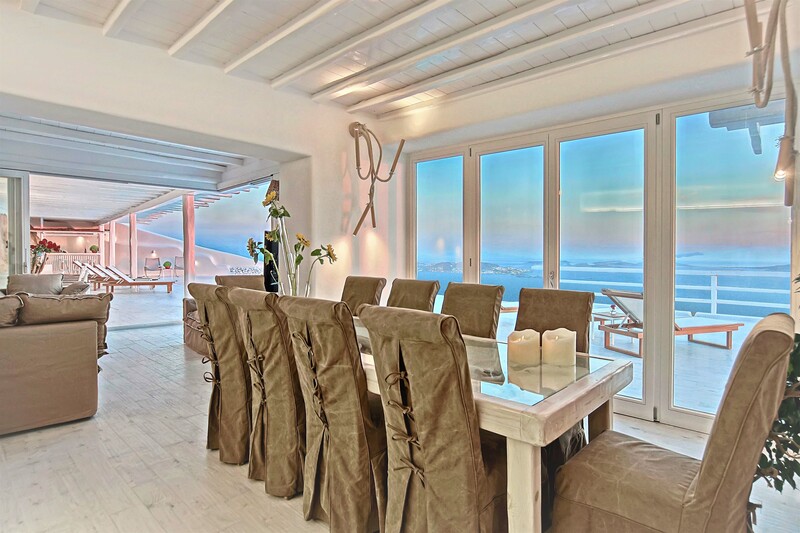 Moving indoors, the theme of pure tranquility continues with a light and airy interior. 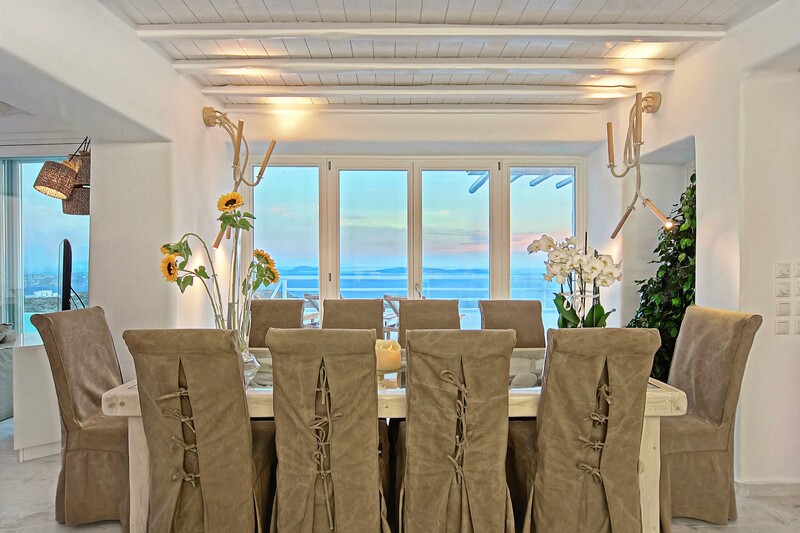 Hand selected accents and luxurious soft furnishings add charm and appeal to the property, while large windows allow for ample natural light and views of the ocean. 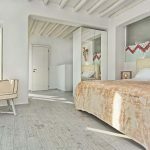 There are numerous shared living spaces inside, including a stylish living room and formal dining area, with a separate fully-equipped kitchen. 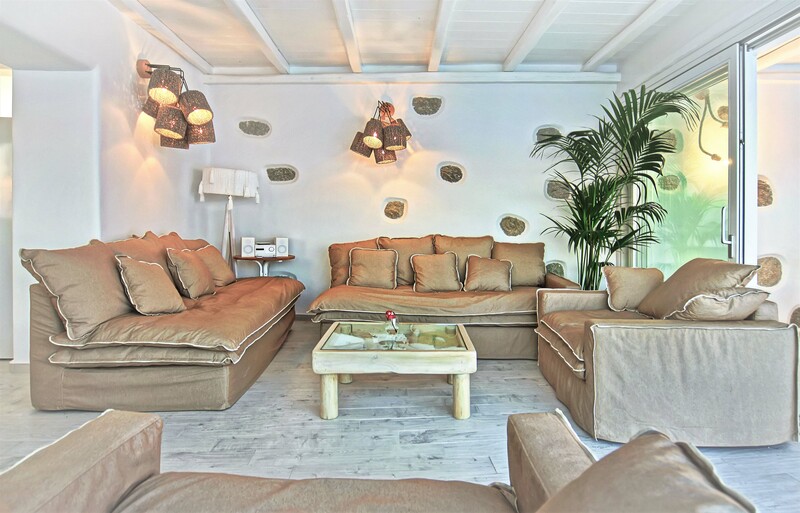 There is a modern entertainment system throughout the home, for watching a movie or listening to your favorite music. 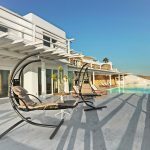 Take just a few steps and find yourself in the exquisite outdoor area, which is a true entertainer’s dream. 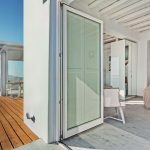 Ample space with various alfresco dining areas, complete with a barbecue, are the ideal place for a relaxed group dinner or perhaps a more formal event or gathering. 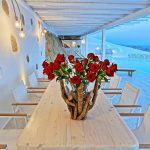 The view is particularly sumptuous at sunset, as the sun dips below the Aegean. 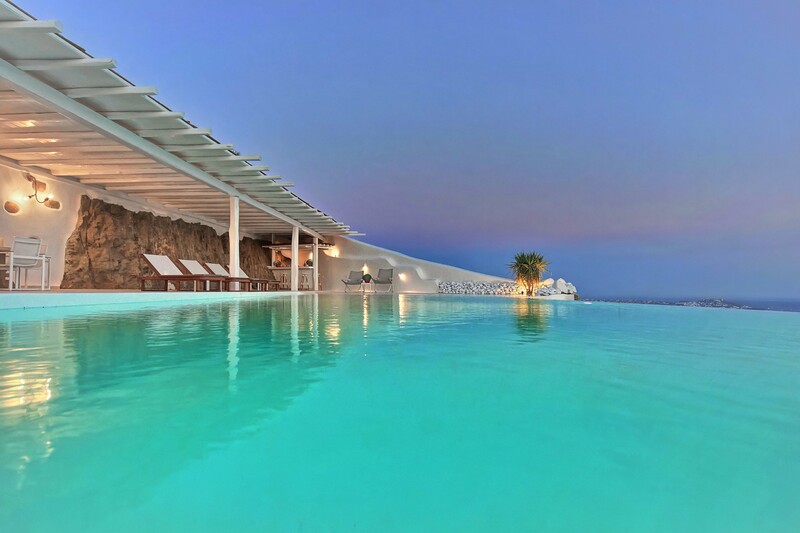 Another highlight is the glistening infinity pool which is flanked by sun lounges, beds and hammocks. 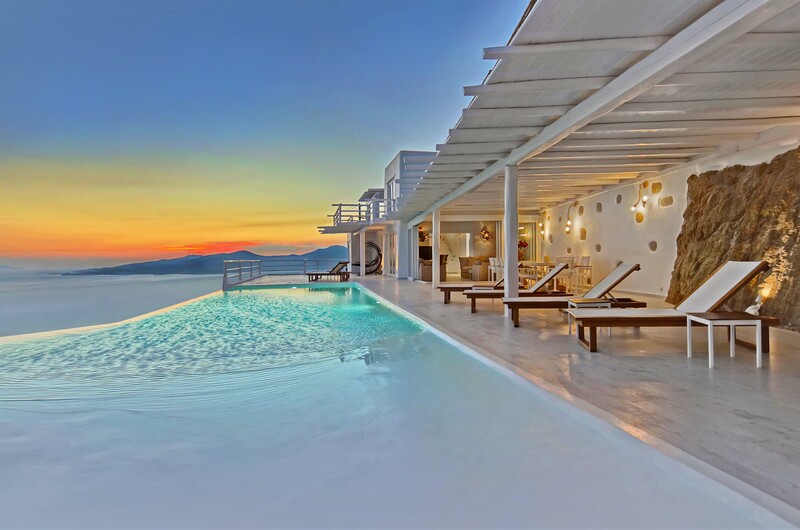 Glide through the cool water, or perhaps lounge nearby with a cocktail in-hand. 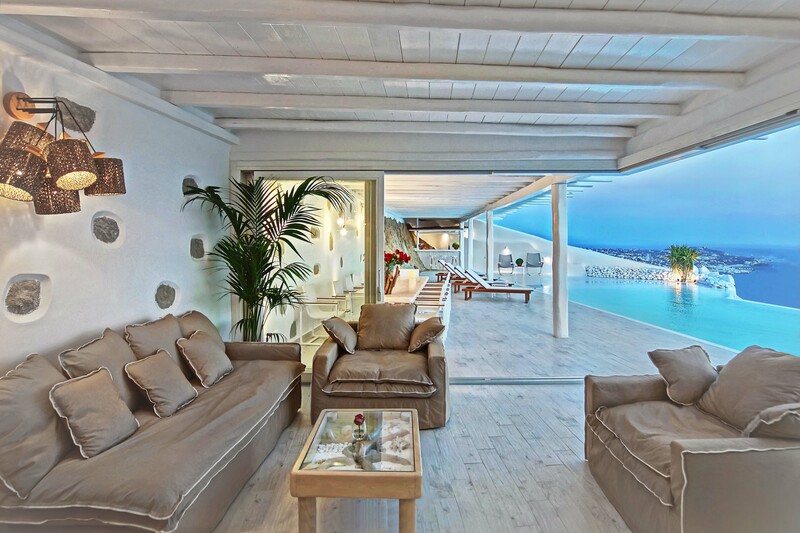 There is also a full-size tennis court for your enjoyment. 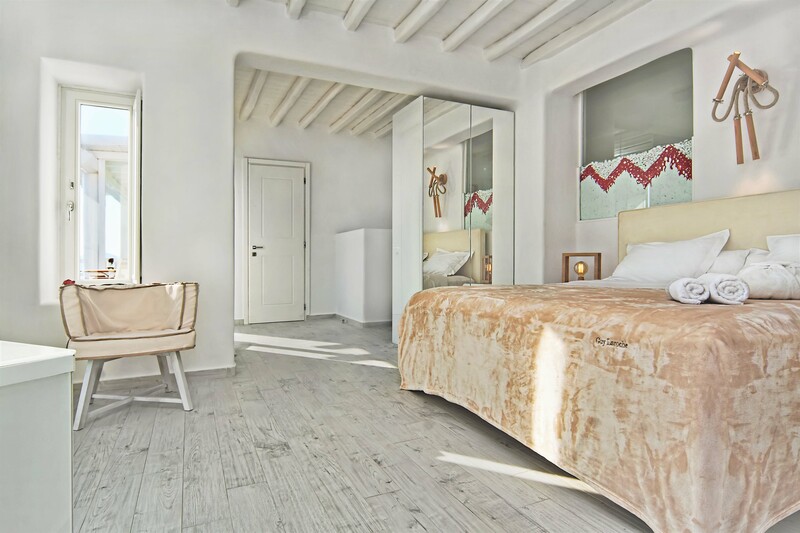 After a wonderful day in paradise, retreat to Villa Lily’s sumptuous bedrooms. 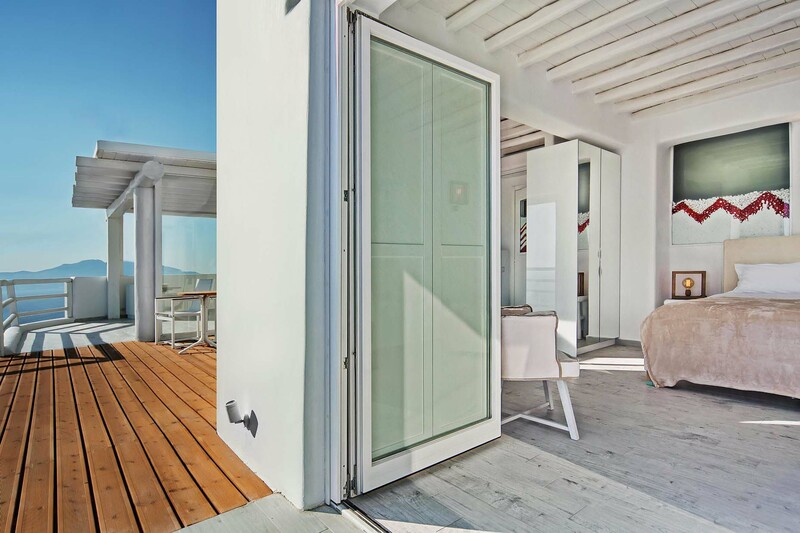 Each is an oasis of calm and tranquility, with luxurious linens and their own ensuites for privacy and convenience. 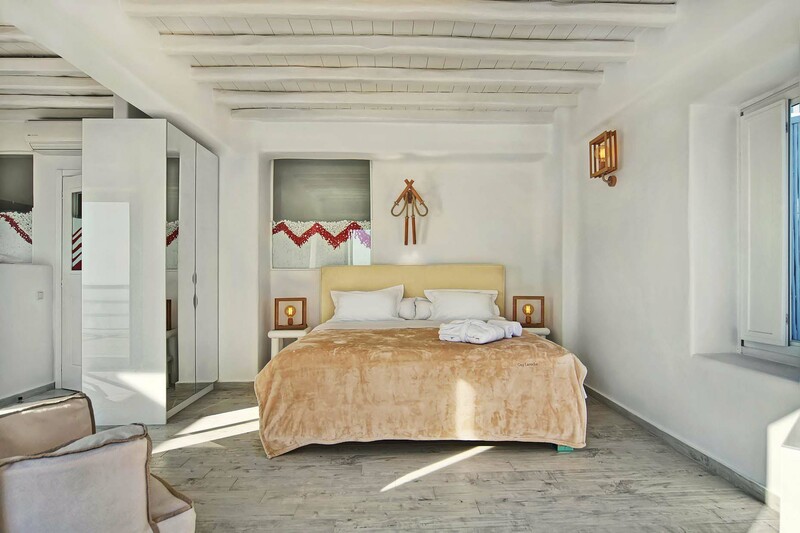 The spacious master suite is a particular delight, accompanying the entire third floor of Villa Lily and boasting an expansive balcony. 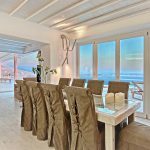 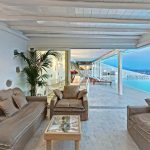 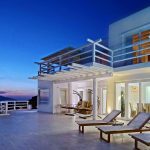 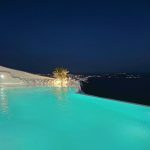 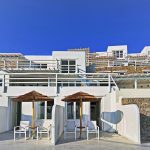 The location of this Mykonos luxury villa is ideally located for both the charms of Mykonos Town and the ocean. 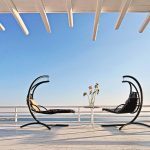 For your peace of mind, there is a security system and also secure parking for vehicles.